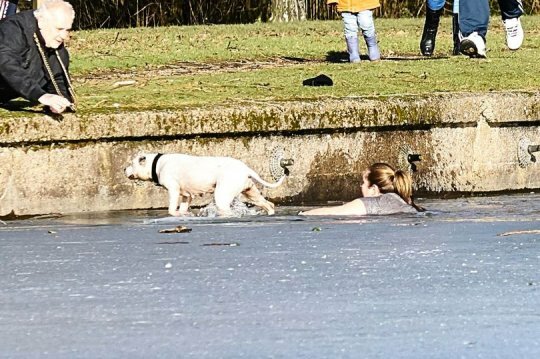 A woman has risked her life by jumping into a frozen lake in order to save an elderly man’s drowning dog. 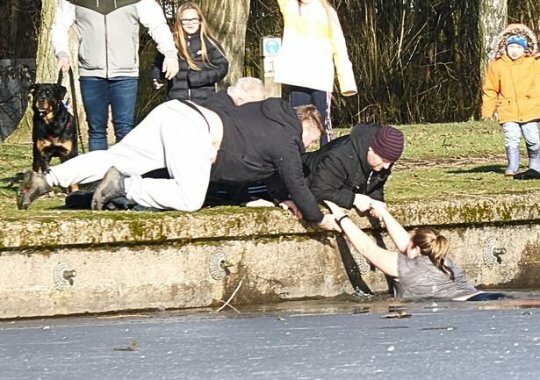 Witnesses said the hero, who has not been named, had to break up ‘chunks of ice’ in order to swim 20-metres to the bulldog-type breed in East Park, Hull. After climbing out she was then comforted by strangers, who wrapped her up in their coats. the dog apparently shook itself dry of the water and was seemingly unharmed in the incident. 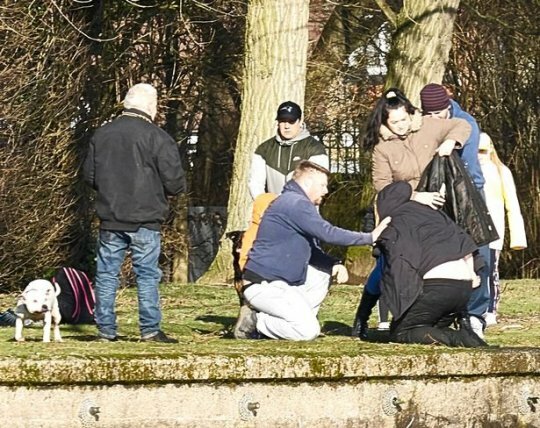 An bystander told Hull Live: ‘I think an old gentlemen lost his dog and it had jumped in the lake and couldn’t get back out. In photos of the incident the woman can be seen wading through the water to reach the animal. Bystanders then helped to pull out her out of the lake once the dog was safely back on land. She had so much courage.